Many persons in different walks of life are called authorities, whether by virtue of the office they hold or the knowledge they have. In fact, it is a curious phenomenon that many academics are quick to condemn arguments from authority as the weakest of arguments even while they scurry around to become recognized by their peers as authorities in their own chosen fields. But it is not from the desire to be the source of the weakest of arguments in their fields that they do this; it is out of a latent sense of the real definition of authority that they exert themselves so vigorously in their pursuits, namely, the connection of a person with authority to some truth prior to and superior to the person bearing witness to that truth. Because of the existence of this truth, we are able to decide about the correctness of an assertion or the advisability of an action to be taken in light of the truth. Anyone who has spent any length of time in academia–at least, time in graduate school–understands this “scurrying”; for while the typical academic may attend a few conferences and publish a couple papers per year (not much work, viewed from the outside), countless hours go into researching for these presentations and papers, and countless more hours into formatting them, editing them, revising them, and submitting them for the journals in which they may or may not eventually appear. Ideally, this hard work would result in improvement of one’s field and subsequent recognition for having done so. The reality, however, is that very little such scholarship does much of anything at all, except add lines to the academic’s curriculum vitae. What carries weight is not the quality of the work presented or published, but the repute of where and in what journal it was produced. In the past century, the notion of authority has been decreasingly correlated with the connection to a higher truth, as Koterski rightly defines it, and increasingly correlated with popularity, prestige, and a large following. The pursuit of “authority” has therefore been, in reality, a pursuit of tenured positions at institutions of fame and lauded publications, and not a pursuit of connection to and dissemination of a truth higher and more important than oneself. The “authorities” we have today are not authorities in any true sense of the term. Academia has many more problems than simply the rat-race-like structure of the ivory tower’s ever-narrowing halls: bureaucracy, STEM-obsession, federal funding, tyrannies imposed in the name of social justice, mob mentalities, and the disappearance of genuine education as a central concern, to name a few. But it is this lattermost absence which is the foundational abyss for all the rest. It is my own field, philosophy, which I see as chiefly responsible for the failure. That the highest degree in most fields, regardless of their actual study, is called a Doctoris Philosophiae is no coincidence; that true philosophical acumen is absent from most fields and most PhD-holders–even those who are PhDs in philosophy–is no small shame. One of the key areas in which philosophy has dropped the ball is in academic publishing. Philosophy journals have become corridors for rat-race-runners. This has led to a combination of futility and staleness in the typical journal. To open a journal today–whether one of high repute or low, “wide” readership or narrow (even articles published in the widest-read journals seldom receive more than a handful of citations)–is typically to find an array of unrelated, uninspired articles either debating the same-old issues with minor and unsubstantial nuance or flaunting something “new” and “radical”… which is to say, something trendy and ephemeral. To be published in such a journal, an author must conform to the standards set by editors, to the ideas set by peer reviewers, and little of either will be made known to anyone before the fact. Peer review itself is a broken system: it offers no reward but ingratiating oneself with the journal’s editors and a vague sense of fulfilling a noblesse oblige for upholding academic standards–standards that have become somewhat arbitrary, and which take different forms in different minds; which is to say, personal standards. The capricious and inconsistent nature of academic publication and the often cloak-and-danger obscurity of what goes on behind in the scenes in publishing makes the entire process often seem more a means for control than a means for ensuring that interesting ideas are being openly debated, discussed, and refined. 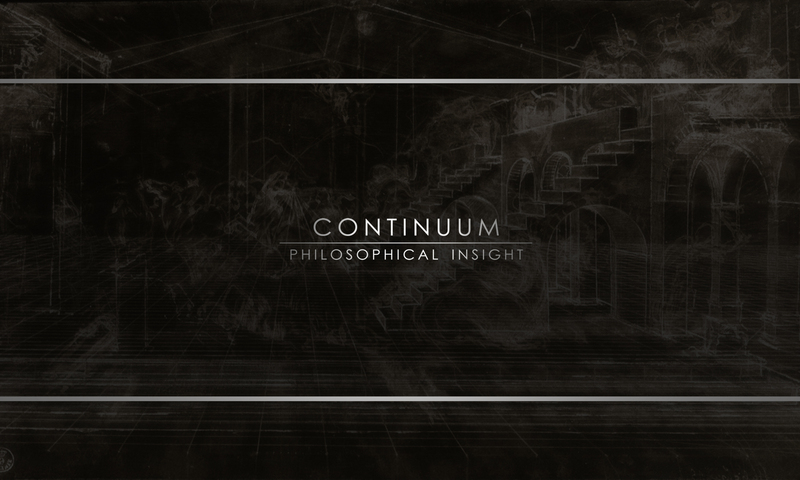 As is obvious to anyone familiar with Continuum, my blog, or my thinking over the past year, I am an advocate for how the new digital paradigm opens doors to different approaches for all manner of things, especially things related to the recovery and improvement of thinking. Academic publishing is no exception. The openness, immediacy, and archival-accessible nature of digital, networked technology radically decentralizes our methods of discourse. The corrupt centers of academic prestige, and the tepid, boring, repetitive journals of high repute are products of a bygone era. It is high-time that we do something to change the whole landscape of academia. Each issue will have a central theme, making issues worth reading cover-to-cover, and not simply providing a scattershot of articles. A new approach to peer review that both rewards reviewers and unveils the process–encouraging philosophical disputation. A wide diversity of well-organized content: providing more than just thematically-centered articles, including short essays of interest, book reviews, film reviews, and other culturally-relevant critical pieces. Opportunity: while maintaining a high standard of submission, the journal intends to offer opportunities for work that may have been deemed “unsuitable” for many of the more traditional avenues of publishing. There are many hurdles we have to overcome, yet, and I do not anticipate that we will launch until some time in the summer. Because of the open nature of the project, however, we are already looking for potential collaborators. If you are interested, please feel free to use the contact form on my site to drop me a line and let me know.